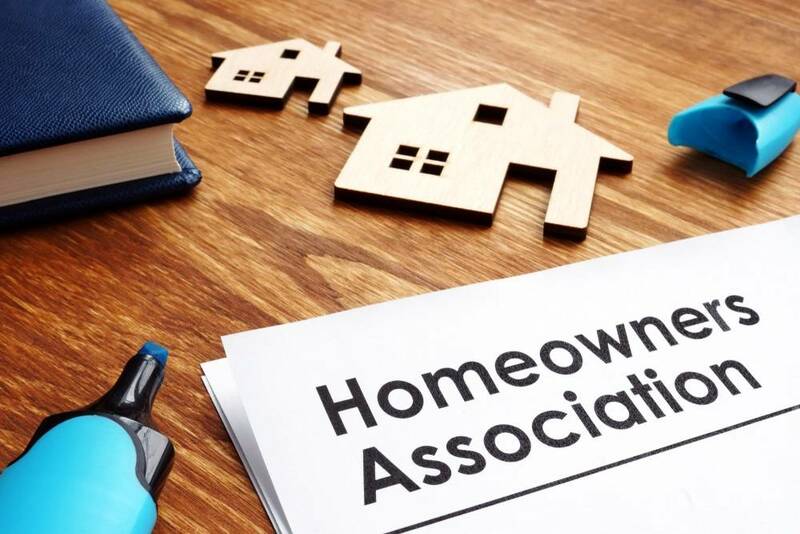 Living in a homeowner’s association certainly has its benefits and burdens, with the latter sometimes appearing to outweigh the former. This article addresses three essential areas which help ease any such burden, provided certain requirements are met. In particular, board members and homeowners serving as agents of the association enjoy the safeguards of immunity, insurance, and indemnity while serving in these roles. If available, these three important I’s should attract and retain board members and other agents of the association by giving them peace of mind and a sense of protection. With the enactment of Civil Code Section 1365.7, volunteer directors and officers of homeowner associations enjoy limited statutory immunity for tortious acts or omissions so long as certain requirements are met. Section 1365.7 states that volunteer directors and officers of an association (which is defined as “a nonprofit corporation or unincorporated association created for the purpose of managing a common interest development” (Civil Code Sec. 1351)) which manage a common interest development that is exclusively residential, shall not be personally liable in excess of specified coverage of insurance to any person who suffers injury. The type of injury would include bodily injury, emotional distress, wrongful death, or property damage or loss as a result of the tortious act or omission. The act or omission must have been performed within the course and scope of the director’s or officer’s duties on behalf of the association. The act or omission must have been performed in good faith. The act or omission was not willful, wanton, or grossly negligent. The association maintained and had in effect at the time the act or omission occurred and at the time a claim was made, general liability insurance and individual liability of officers and directors of the association for negligent acts or omissions in that capacity (D&O insurance) so long as both types of coverage are in the following minimum amounts: at least $500,000 if the development consists of 100 or fewer separate interests, or at least $1 million if the development consists of more than 100 separate interests. The volunteer director or officer is a tenant or owner of no more than 2 units in the development. The volunteer director or officer must not receive compensation (other than payment for actual expenses). As an example, if a director has negligently chosen a particular type of locking gate that turns out to be unsafe, the above immunity can apply for that director, provided all of the above requirements have been met. If any of the requirements are lacking, such as an officer or director who is not strictly a volunteer and is receiving compensation for his/her services, then there will be no immunity. It should be noted that the statute refers only to officers and directors. It does not appearthatcommittee members (who are not officers or directors) would have statutory immunity under Section 1365.7. If the association is exempt under certain sections of Internal Revenue Code Section 501(c ), volunteer directors and officers may also be protected by Code of Civil Procedure Section 425.15, which sets forth pre-litigation requirements pertaining to volunteer directors and officers. As far as members’ immunity, it is much more limited, and is addressed by Civil Code Section 1365.9. It is meant to protect members who are sued for premises liability for an accident that happens on common area land, so that such an action can only be brought against the association and not the individual members. That limited immunity applies if the association has at least $2 million in general liability coverage if 100 or fewer separate interests, or $3 million in coverage if more than 100 separate interests. The immunity provided under Section 1365.9 has no other requirements, such as whether the member is compensated or is a volunteer. The members’ immunity statute (1365.9) would not protect a member from a suit where the member is being sued, as an example, for supplying or designing a defective locking gate. However, it does apply to suits that arise solely by reason of an ownership interest in common area (i.e. premises liability). For instance, if someone is hurt and a claim is made that the gate was a dangerous condition of land owned by the association, individual members cannot be sued for that. If a suit claims that an individual member badly designed the gate or failed to tighten the bolts or something of that nature, the immunity would not apply because that type of lawsuit would be alleging more than premises liability. For that type of claim, the member would look to the association for indemnity, if the member was working as an agent of the association in designing the gate. They would also likely tender a claim for insurance coverage to the association. While officers and directors who receive compensation (other than for actual expenses incurred) do not enjoy statutory immunity, they are still covered by the association’s director and officer insurance policy (D&O) for committing negligent acts or omissions in their capacity as an officer or director. D&O policies can also protect committee members who might be sued for negligence, provided the policy contains the right language. D&O policies, however, do not cover injuries sustained by officers, directors, or committee members. D&O policies normally contain an exclusion for bodily injury so they do not duplicate the bodily injury coverage in the association’s underlying general liability policy. If the injury sustained by an officer, director, or committee member occurred within the scope of performing their duty, then it is likely that the association’s worker’s compensation insurance policy, assuming the association has one, would cover the injury. Typical worker’s compensation insurance policies do not cover non-employees; however, associations who use volunteer members to perform certain tasks, such as clean up around the common area, are able to obtain coverage under their worker’s compensation policy if specifically requested. The key to obtaining coverage for volunteers under the worker’s compensation policy is to have the volunteer members appointed as committee members by the Board and to make certain that meeting minutes reflect the appointment. The association’s insurance broker should be consulted to make certain that the association’s policies provide the right coverage. Associations who have employees are strongly recommended to obtain employer liability insurance, in addition to the other types mentioned above. Pursuant to California Corporations Code Section 7237, associations that are incorporated as nonprofit mutual benefit corporations have the power to indemnify their directors, officers and other agents when they are a party, or are threatened to be made a party, to any proceeding brought by third parties. The term “agent” includes any person who is, or was, a director, officer, employee or other agent of the corporation, or is, or was, serving at the request of the corporation. The term “proceeding” includes any threatened, pending or completed action or proceeding, whether civil, criminal, administrative or investigative. The indemnity may include expenses, judgments, fines, settlements and other amounts actually and reasonably incurred in connection with such proceeding if: 1) the person acted in good faith; and 2) in a manner reasonably believed to be in the best interests of the corporation. In the case of a criminal proceeding, the person had to have had no reasonable cause to believe the conduct was unlawful. Corporations Code Section 7237 (d) requires the association to indemnify agents of the association who have been successful on the merits in the defense of any proceeding, or in the defense of any claim, issue or matter in the proceeding against expenses actually and reasonably incurred. “Expenses” include attorney’s fees and any expenses of establishing a right to indemnification. If an agent is not successful, the association is still permitted to indemnify the agent if it so chooses, if authorized by: 1) a majority of a quorum of directors who are not parties; 2) approval of the members, excluding those seeking indemnification; or 3) the court in which the proceeding is pending. Notwithstanding the above, an association is prohibited from providing indemnification when a member sues agents of the association on behalf of the association in the following situations: 1) when the agent has been adjudged to be liable to the corporation in the performance of the agent’s duty to the corporation, unless the court determines that the agent is fairly and reasonably entitled to indemnity for the expenses which the court also determines; 2) for amounts paid in settling or otherwise disposing of a threatened or pending action, with or without court approval; or 3) for expenses incurred in defending a threatened or pending action which is settled or otherwise disposed of without court approval unless such action concerns assets held in charitable trust and is settled with the approval of the Attorney General. If the association chooses to provide indemnity (where not otherwise required by Section 7237(d)), it is recommend that the bylaws contain an express provision providing such. Even if the association’s governing documents do not expressly provide for indemnity, the association would be required to indemnify an agent that falls within Section 7237 (d). It should be noted that an indemnity provision contained in the governing documents cannot conflict with Section 7237 in order to be valid. Immunity, insurance and indemnity are interrelated, yet independent of each other (with the exception of immunity being dependent on insurance coverage). All three are important to the proper and effective operation of associations and in attracting and keeping directors, officers, and other agents. *Sharon Glenn Pratt is founder of the law firm of Pratt & Associates, an ECHO member firm. She specializes in civil litigation, with extensive experience in community association law, including creation, amendment and enforcement of governing documents. Rosalia Burgueño Tapia also specializes in civil litigation, with substantial experience in community association and employment law. Call us at 408.369.0800 or fill out the form to schedule your consultation.